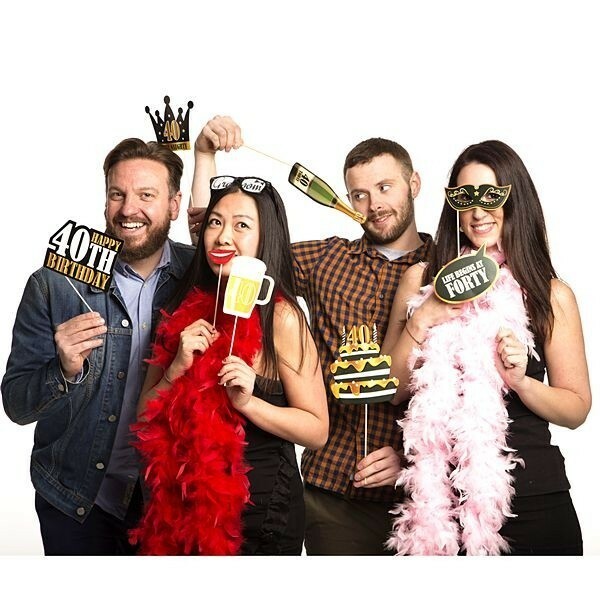 A pack of 24, 40th birthday, high quality, black and gold card photo booth props on sticks. Great for use in selfies or in the photo booth or for any birthday party no matter where it is held. 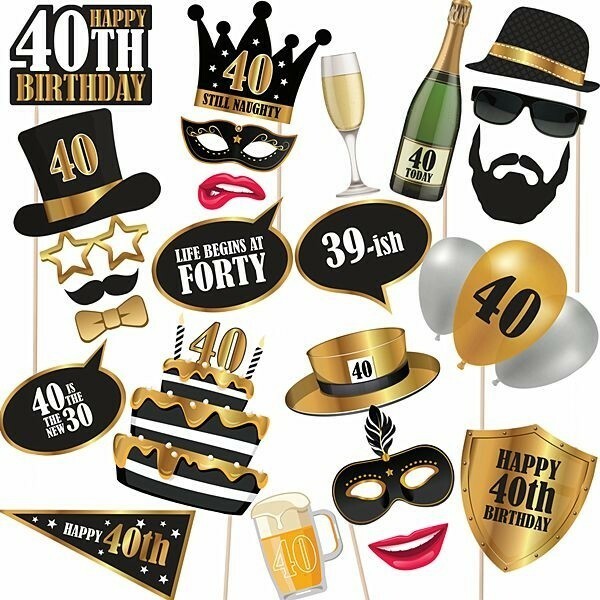 Includes happy 40th birthday, 40 still naughty, life begins at 40, 39ish, 40 is the new 30, champagne, top hat, beer and many more. 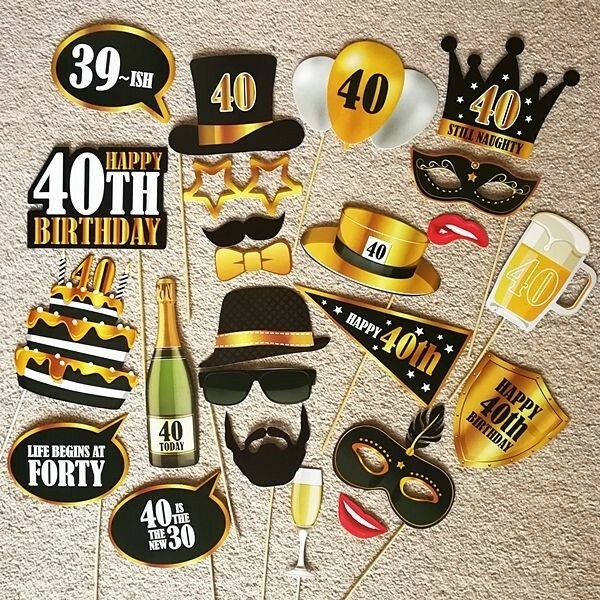 • Includes happy 40th birthday, 40 still naughty, life begins at 40, 29ish, 40 is the new 30, champagne, top hat, beer and many more. • And we nearly forgot – a great big birthday cake too. Don't forget to blow out the candles! You will receive the cards, sticks and glue dots in a package. You need to assemble the parts together yourself to get the items looking like our picture. Place the stick onto the rear of the prop. 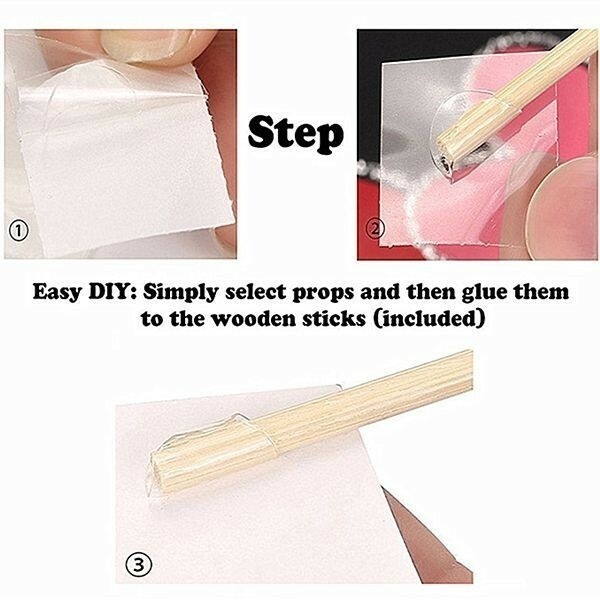 Pull the plastic from the sticky part and then use the sticky part to fix the stick to the prop. Hey presto and Bob's your uncle – you’re all done!